This is a comprehensive seminar for anyone considering owning or carrying a firearm for self defense. 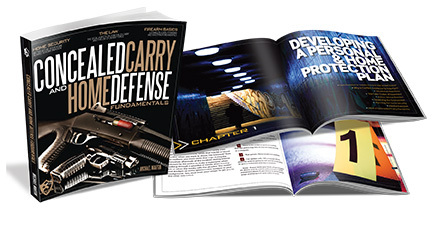 The instructional materials are based on the popular USCCA Concealed Carry and Home Defense Fundamentals curriculum and satisfies the training requirement for the Maryland Wear & Carry Permit application (when taken with NRA BOPS) and renewal. You’ll also develop your own personal and home protection plan and shoot the MD Wear and Carry qualification course of fire. * You must shoot a firearm in order to qualify for the MD Wear & Carry permit; therefore, one is required. If you do not own a firearm (yet), you may rent one at the range. Why is Conflict Avoidance so Important?